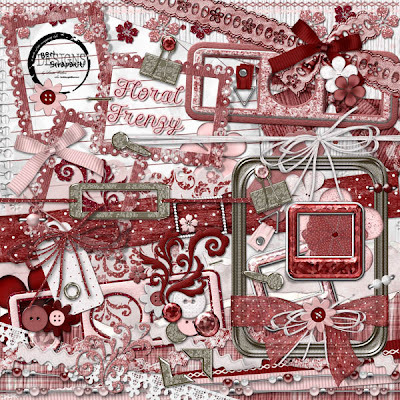 Bon Scrapatit Designs: FLORAL FRENZY FREEBIE LINKS EXTENDED ANOTHER 24 HOURS!!! 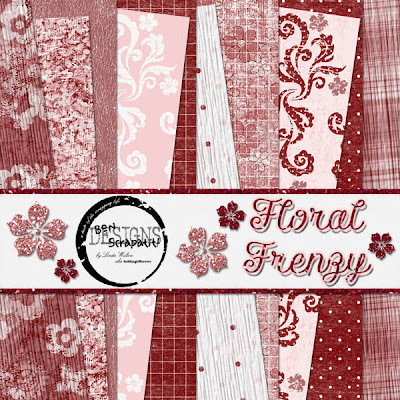 FLORAL FRENZY FREEBIE LINKS EXTENDED ANOTHER 24 HOURS!!! Oh my GOODNESS!!! Can I say that I am "TICKLED PINK" that y'all are enjoying *FLORAL FRENZY*??? I am TOTALLY overwhelmed with your GENEROUS comments and "thank you's" ... but it is "I" that is thanking y'all!!! You are MOST welcome and you surely do keep me inspired to keep on keepin' on!!! WOO HOO!!! From the depths of my being, "thank you" SO much for the encouragement!!! I TRULY love being a part of helping others to "preserve" their family history and it has ALWAYS been my first love in digital scrapbooking! I'm here to post the links again for tonight as due to the OVERWHELMING response, I have decided to extend *FLORAL FRENZY'S* free download status for another 24 hours!!! Just in case some are just getting home from a weekend away and such, I will be leaving the links active until MIDNIGHT EST tomorrow night!!! If you know anyone else that LOVES pink, mauve and burgundy - send 'em on over!!! You know, now that I've had a few moments to breath and reflect, this kit will actually work VERY well for heritage photos. In fact, as I type I have a heritage layout in the works (my great-grandmother Nellie) and I am going to make it a "scrapatit" to share with y'all PLUS I will be including the "sheer" dotted ribbon wrap and frame separately so that y'all can do what I did with it if you wish! You'll see it when I upload. If I don't get it up later tonight, then I will post it for you tomorrow! WHAT DO SPRING AND AUSTRALIA HAVE IN COMMON?? ?